Appearance : Kinai is average height. Well built, and has medium greyish silver. His hair has a bloody reddish tint to it. 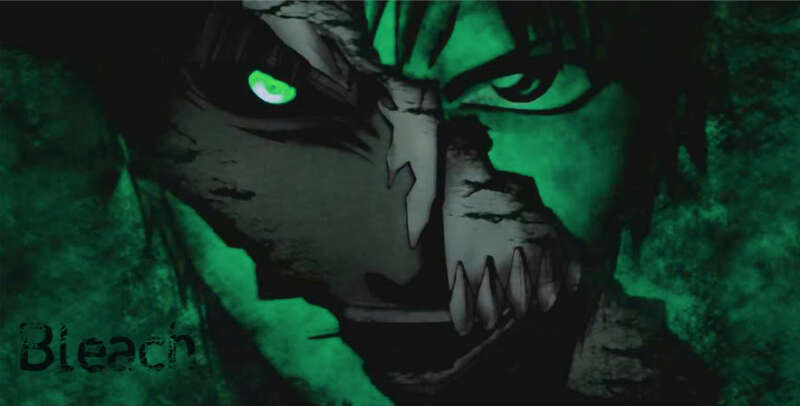 He naturally has green eyes but when using his shikai they turn red resembling the rage inside of him from his past life, and from his Zanpaktou spririt. He has his Zanpaktou placed at his side and occasionally it will be on his back. The holster of his Zan is Black as the night but the blade is bright as the moon resembling the wolves time to roam. Personality : He is very clsoe minded. Also short to jump to conclusions and has a short temper. He is a good guy once you get to know him and he accepts you. When you become his friend, he will never forget you and protect you with his life. No matter the risks. History : Kinai was born into a mid class family in the human world. As a child he was more aggressive fighter than the other kids. He trained and excelled in the art of the Samurai and the warrior.. Though he can't remember much from his childhood. All he remembers is at the age of 10 he died. He was slaughtered by a Cerial killer along with his parents. For a year or two he was a wandering spirit with his Zanpaktou until one day he was purified and sent to the Soul society by a soul reaper on duty. He was transported to the Soul Society. Where he joined the Academy quickly excelling and he was given back his same exact sword from the human world but it was a Zanpaktou called Ookami Tenma. He was passing all the Kido and release exams and all written exams with ease. He soon graduated from the Academy at a young age in which he was given his Shinigami Status. After Graduating he joined The 11th division and was put on the front lines. One day on a mission he was knocked unconcious by an attacking hollow and when it happened all he heard was howls. When he awoke a pack of fierce looking wolves was there, and he jumped to his feet ready for them to attack but all they did was circle around him and howl. He then heard a voice inside his head that sounded metallic and demented. It ended up being his Zanpaktou talking to him. He was shortly in the world of his Zanpaktou after that. He was standing in a forest that gave off a wierd Aura that seemed to connect with him in a way. He walked around the place and noticed it seemed like a never ending forest, until he came upon a cave. Which inside was sitting the spirit of his Zanpaktou known as Ookami tenma. Which also stands for "Wolf Demon". There he taught him how to listen to his surroundings and heightened his senses. He trained nonstop there for years upon years. He was deemed M.I.A. from the Soul Society. They suspected the worst, but Over the time he learned to call upon his Shikai but never unlock it's full abilities. After getting out of the world of his Zanpaktou, he stumbled back to the Vilage where the 13 Divisions were. He went back to the captain of his division and was re-instated. He was excited with his new skill and wanted to perfect his newly developed skills. He trained and did missions over multiple years, until finally he perfected his Shikai and was promoted to Lieutenant of the 11th division for all his work and devotion he put into helping the Soul Society. He was given his Traditional Lieutenant Uniform, He is currently 23 in looks but truly 320 years old. 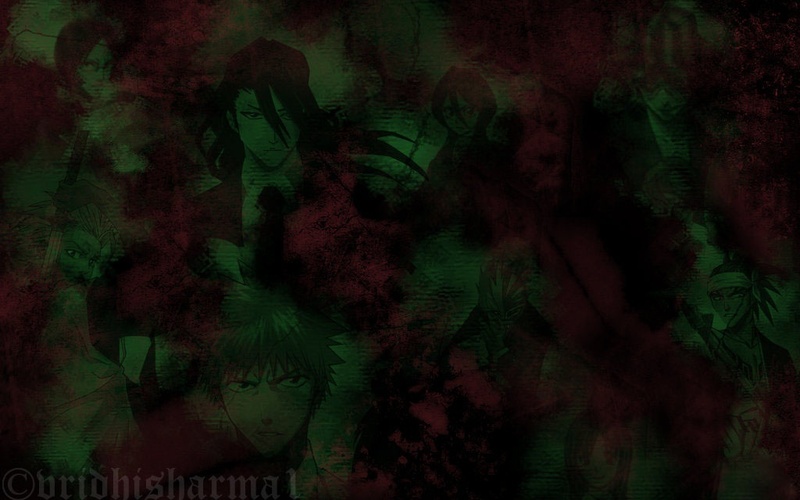 He soon obtained his hollow powers and when the councel found out about it he was kicked from the Soul Society. He quickly learned to master his mask when he was training and living on his own. As of now he is a strong vizard and is a mercenary. Working for any race wanting to hire him. Strengths : Strong rietsu, and spiritual pressure. Extremely fast and has decent strength. Mask Looks : Looks like zan spirit it is black with red streak and slight bit of white. 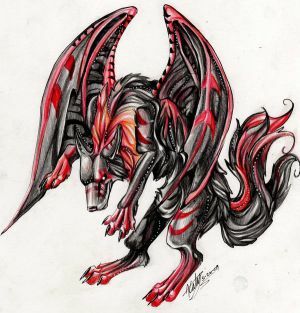 Shikai Abilities : The Shikai to this Zanpaktou allows the user to cast out pure spiritual attacks that resembles wolves or fire based attacks. He can summon a pack of wolves to aid him that is made up of complete spiritual energy and they can gather intel. His senses are heightened because he gets the instincts of a wolf, and his speed, rietsu are increased at a substantual level and his strength is increased also. Bankai Abilities :He gains even more speed his rietsu sky rockets and his reflexes and senses are enhanced he can use cero. I'm not sure I like the idea of you being an Ex-Captain Commander and also a Vizard... I'll leave the decision up to Dracoss since that concept is plot related and I'm not sure if the other admins would allow something like this. well I think this is approveable now considering the standards of the site. Are you guys going to add me to visard group? sorry I didn't see this earlier. Gran Rey is off limits to all except the Espada.